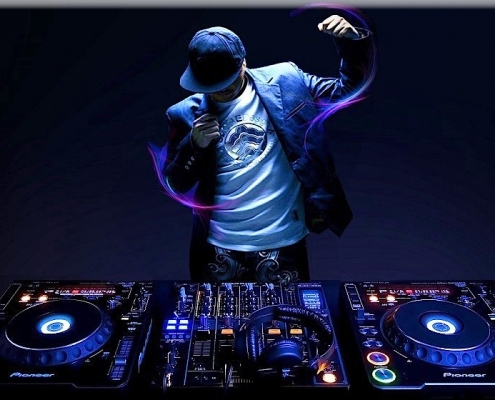 Light Up the Dance Floor with Our DJ and Music Services! Along with an experienced and energetic DJ and MC we offer a powerful stereo sound system with a huge catalogue of 15,000 songs, Karaoke, Special Club Lighting, Giant Screen or 2 Plasma TVs with Videographer for Simulcast Video. Boston Casino Events Light Up Dance Floor will transport your dancers into the Hip Hop, Rap or Disco Dance Party of their dreams! With a computer generated lighting system that can go from geometric patterns to simply changing with the beat, this is the cutting edge of Dance Floor Lighting Technology. Combine this with our Deluxe 24″ Mirror Ball and Pin Spots, and you will be back in Studio 57! Keep the Beat Alive!